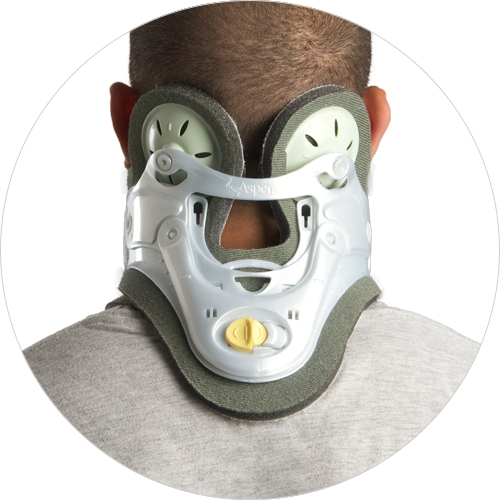 The treatment philosophy behind Aspen Acute Restriction bracing is to provide a controlled environment for healing. 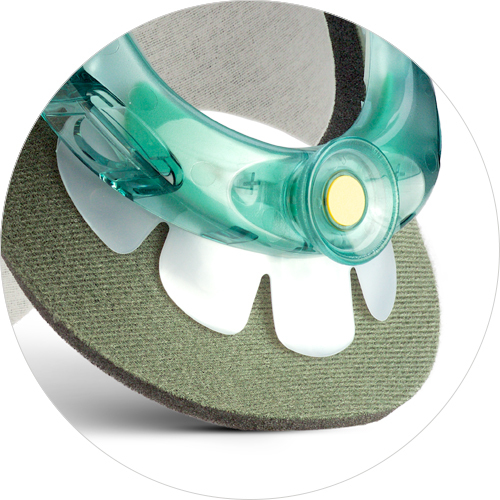 These braces provide optimum motion restriction and are designed to minimize incidences of skin breakdown. 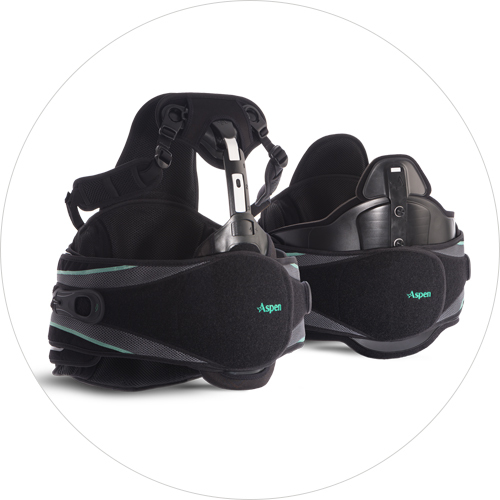 Aspen provides options for all levels of the spine. Substantial motion restriction is a key factor in treating patients suffering from post-surgical and post traumatic indications with the goal of decreasing patient discharge times to reduce overall healthcare costs. Aspen Acute Restriction braces create a stable and controlled environment by acting as a kinematic restrictor. Gross motion of the body is minimized, allowing only minor internal movements. 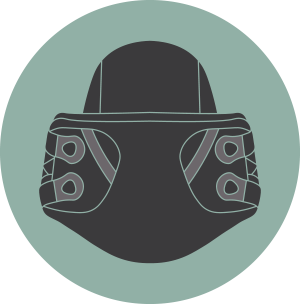 Utilizing polyethylene and polyurethane composites, these braces offer support in all anatomical planes. 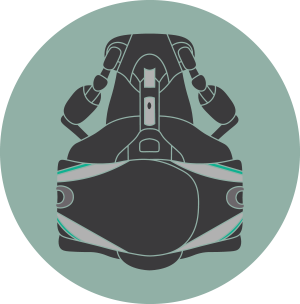 Where appropriate, softer malleable materials are used to disperse pressure. 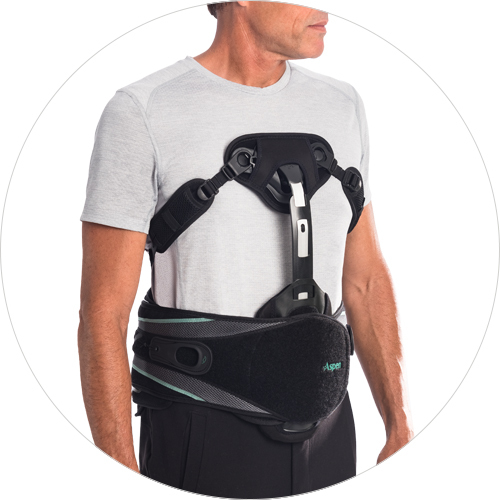 Aspen’s patented designs allow practitioners to fully customize the brace to support the patient’s anatomy and medical condition. Able to be fit pre- or post-operatively, Aspen Acute Restriction braces were designed with orthotic practitioners and hospital staff in mind. 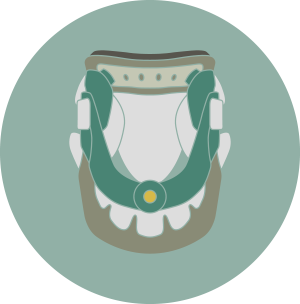 The majority of the Acute Restriction braces are adjustable and allow practitioners to provide an optimal fit, promoting patient compliance and quicker recovery. By providing innovative solutions to improve patient care, cleanliness and performance; patients are more likely to heal, start rehabilitation and resume activities of daily life. Skin breakdown or skin irritation can be a side effect of bracing, which can delay a patient’s recovery and lengthen hospital stays. To combat skin breakdown, Aspen’s products feature patented FlexTabs™ to help disperse pressure and moisture wicking pads to keep patient clean and dry. Low profile and light weight, Aspen Acute Restriction braces are designed to be comfortable even when 24/7 wear is required. Aspen Acute Restriction braces have been clinically tested to provide optimal motion restriction, while reducing the incidences of skin breakdown. Backed by 25 years of clinical research and clinical papers published in top journals, such as SPINE, The Spine Journal, Journal of Nursing Care, and Ostomy/Wound Management, Aspen‘s innovative solutions meet the requirements of clinicians to enhance patient recovery. My [personal] trainer instructed me to wear the brace until bedtime that day. Greatly reduced my back pain! The brace has been a God send while strengthening my back and core.